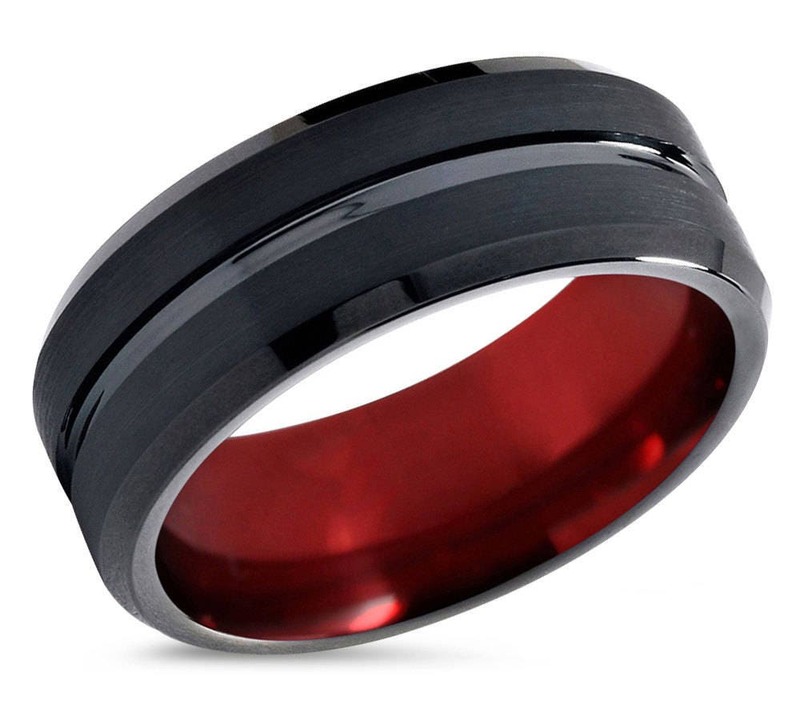 Luxury Red Black Tungsten Carbide Men's Wedding Band Ring in Comfort Fit and brushed and polished finish. 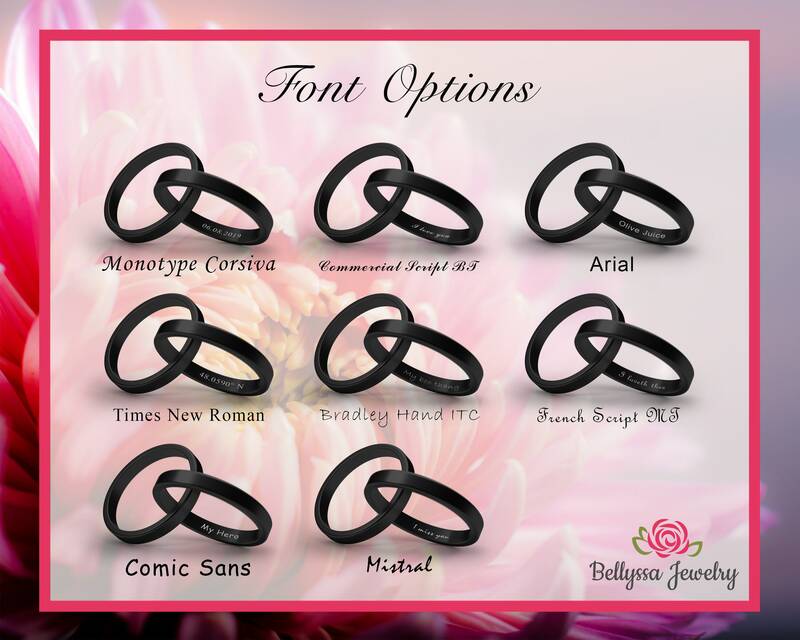 In terms of durability tungsten carbide rings are top notch. Tungsten carbide is roughly 10 times stronger than gold and 4 times stronger than titanium. Tungsten carbide will not scratch or fade under normal wear. 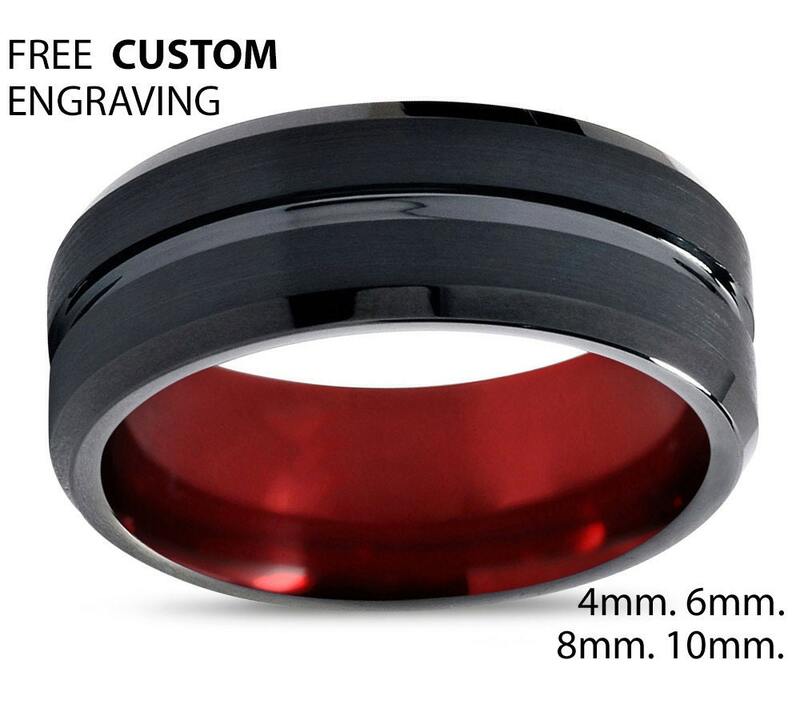 Tungsten rings are Cobalt Free and hypoallergenic. Wonderful response time from this vendor. Exactly as pictured. Quality was better than I expected. The ring was exactly as promised and it arrived quickly. 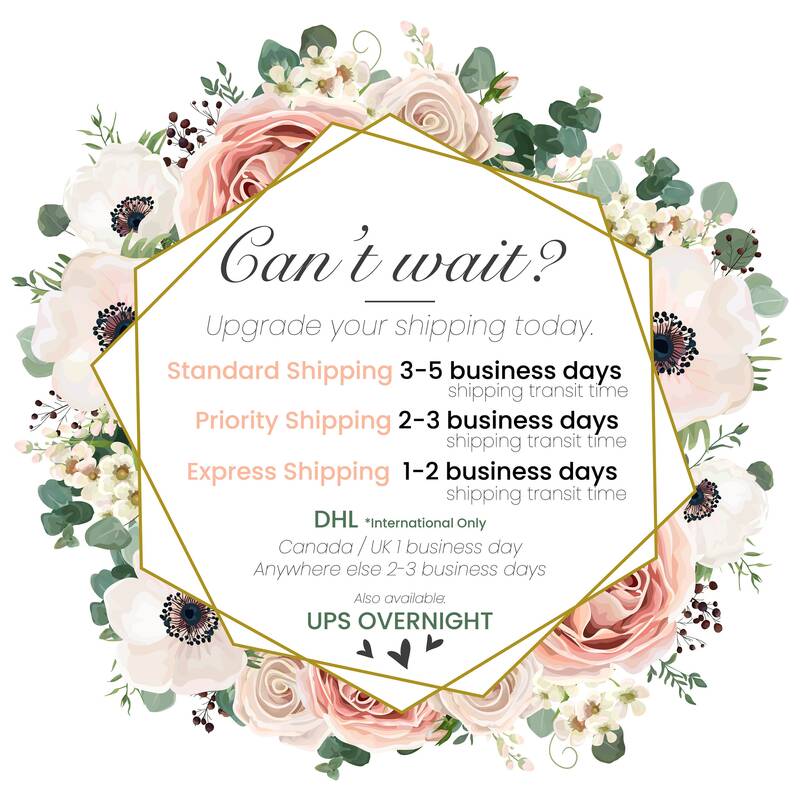 I am very pleased with the product and would not hesitate to order from this shop again!! It is perfect! Very easy to work with, answered all my questions in a timely manner. The ring and engraving itself is just perfect! Thank you so much! The ring is beautiful. It just got shipped out later than expected but it's understandable. Thank you so much for your rings!